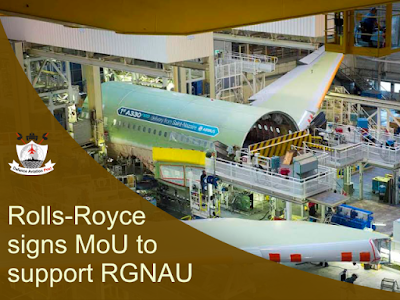 Rolls-Royce has signed a Memorandum of Understanding (MoU) with Rajiv Gandhi National Aviation University (RGNAU) to build future competencies required by the Indian aviation industry. The signing ceremony took place as part of the Visitor’s Conference at the Rashtrapati Bhawan in the presence of President Pranab Mukherjee, the Vice Chancellor of Rajiv Gandhi National Aviation University - Air Vice Marshall Nalin Kumar Tandon AVSM, VM (Retd.) and Kishore Jayaraman, President – India and South Asia, Rolls-Royce. RGNAU was set up to facilitate and promote aviation studies and research. It will start functioning soon at Fursatganj in UP. As India's first aviation university, the university will commence training of aerospace/rocket engineers, aspiring pilots, Aircraft Maintenance Technicians/engineers and cabin/ground crew. 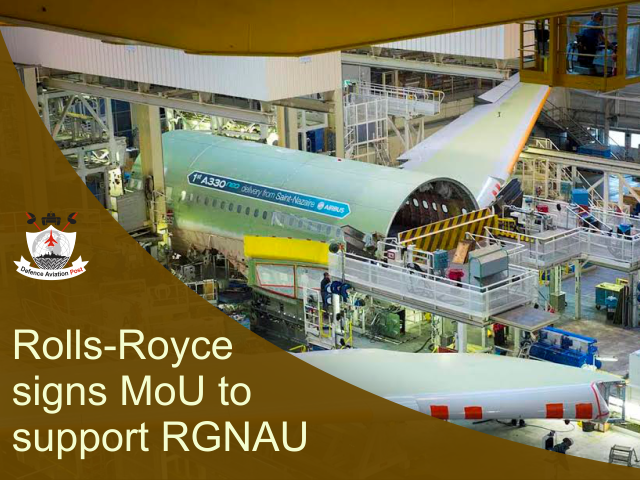 The MoU outlines how Rolls-Royce will support RGNAU to help develop curricula and offer international experts for guest lectures to help the maturity of the university. Rolls-Royce will also offer internship positions to qualified students across Rolls-Royce sites in India.